Very suspicious, especially considering Intel knew about the vulnerabilities for some time before disclosing them publicly. US / NSA already know and been using it for 15 years no need to be informed, they are most likely the paid contractor for this backdoor to be part of the design in the first place... too bad... these three backdoors are compromised... hope the groups that found this flaw are not going to assassinated by the NSA, stay alive guys. US / NSA already know and been using it for 15 years no need to be informed, they should be the paid contractor for this backdoor to be in the design in the first place... too bad... these three backdoors are compromised... hope the groups that found this flaw are not going to assassinated by the NSA, stay alive guys. Only half of it... lol. Little to no risk... all signs point to a retiring of a backdoor... not some lucky punks finding it and disclosing it. No, pretty sure all of it. I wonder how many will still back Intel after these revelations, tbh not surprising for me at all. The same was said before the Snowden revelations, at this point in time nothing should surprise anyone. Such state secrets however, rarely come out in the open. Is this like some reach around way of excusing Intel? This doesn't look good for Intel. Some will probably think/say intel are supporting the "commies" over the US. I don't think Intel sells nearly as many CPUs in China as it does in the US. Should be renamed to "Intel shares the Spectre/Meltdown information with two of their biggest international partners before warning the US govt.". From my perspective it makes no difference who gets this info, before it becomes publicly known. The only difference is that in case of Alibaba and Lenovo it's a vital piece of info for creating temporary remedies and patches for their hardware, data centers and cloud services, and in case of US - yet another cyberweapon against all "evil non-democtratic" threats in the world. Not saying that either scenario is right, but think of it this way: sharing an unpatched vulnerability with public before it is patched creates a window of opportunity for hackers to exploit it before hardware manufacturers and large data centers even have a chance to do something about it. Since their proactive partners like Google and MS already knew about it, Intel did the next logical thing: warn the lazy fat partners like Lenovo and Alibaba. That's way too naive... Don't forget that nearly everything is made in China, including Intel-powered laptops, AIOs, tablets, phones, STBs, etc. If US was really a leading consumer of Intel CPUs, then I would've probably switched my supply of replacement Core-U and Core-Y chips to US at least for the sake of faster shipping. US may be on the receiving stick of this product chain, but they are not the ones who actually buys CPUs directly from Intel. Retail sales of Intel desktop chips for consumers is only a small fraction of Intel's business. Where is the source? 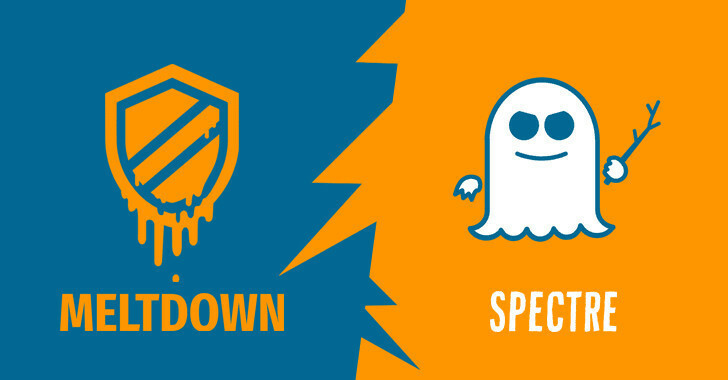 The link points to an early report on Spectre and Meltdown - no relation at all to this story. Honestly, I'm questioning the credibility of half these 'news' articles right now. ok this is making my blood boil, time to go back to amd!!! ugh! Looking at Intel prices. Looking at FPS counter. Still faster than AMD. Needing to upgrade motherboard to upgrade processor. Looking at FPS counter. Still faster than AMD. Hearing about Intel's monopolistic tactics. Looking at FPS counter. Still faster than AMD. Hearing about security problems in Intel processors. Looking at FPS counter. Still faster than AMD. Hearing that Intel informed Chinese before US government. Looking at FPS counter. Still faster than AMD. About what id expect out of Intel, or any major company. Meh , most people can't afford the top of line Intel CPUs , so it's not that. They love 'em out of pure fanboysm. intel did what any major manufacturer would do: Inform your biggest clients first. Yep, I remember seeing a pic of all Intel exec's at White House standing behind Trump smiling as he signed paper for their new 7nm factory in Arizona. What a joke. I'll be going AMD next build even if it means I take a performance hit. Screw Intel.